OVOGROWTH in an ERC-consolidator grant that aims at understanding how to mature human oocytes in the petri dish. The project leader is Dr. S. M. Chuva de Sousa Lopes, working in the Leiden University Medical Center in Leiden, the Netherlands. OVOGROWTH started in July 2017 and will end in June 2022. 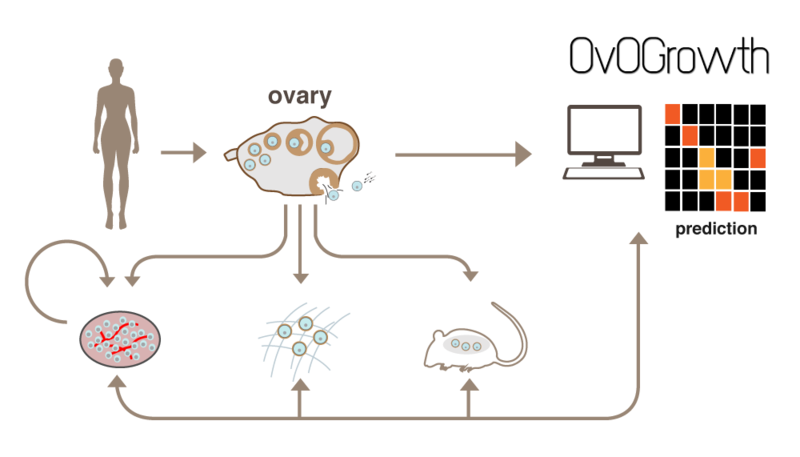 Using single-cell transcriptomics combined with mathematical modeling and unique access to human ovarian tissue (foetal and adult), OVOGROWTH aims to benchmark key cellular components, developmental networks and molecular signalling in the human ovary. This knowledge will be shared online, so that outcomes regarding human oogenesis in vitro can be monitored. OVOGROWTH will build on expertise in gametogenesis in mice and humans to engineer a human follicular niche creating a “mini-ovary” in vitro that could support the formation and maturation of the oocyte (using patient-specific cells) and to explore mechanisms of follicle maturation through a xenotransplantation mouse model. OVOGROWTH will lead to more effective personalized-therapy for fertility preservation and contribute to the development of an in vitro mini-ovary organoid model to use in human reproductive toxicology and disease modeling.